Designed by Altus founder and flutemaker Shuichi Tanaka, Azumi flutes are a perfect fit for the serious student and aspiring flutist. Featuring a true professional model headjoint, made in Japan by Altus, the Altus Z-Cut headjoint helps you produce a full & rich tone in all three registers. For almost 30 years, Altus has hand-crafted flutes that embody the ideals of vintage inspiration and modern technology. Created by Master Flute Maker Shuichi Tanaka, Altus flutes reflect his passion for combining the finest playing flutes with the finest materials and artistry. 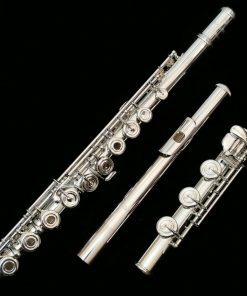 The meticulous design of Altus flutes and its acclaimed Altus/Bennet scale offers excellent intonation, carefully tuned harmonics and balanced registers. The masterfully hand-sculpted headjoints and precision tubings produce the remarkable sound of the Altus flute. Azumi flutes are also designed by Mr. Tanaka and are a perfect fit for the serious student and aspiring artist. We carry a carefully selected assortment of Azumi Flutes. However, if there is a configuration of Azumi flutes that you are interested in but do not see listed, please feel free to give us a call or send us an e-mail. We are also a dealer for Altus Flutes Handmade in Japan. 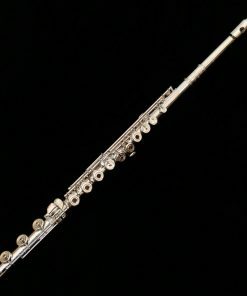 If you are interested in a handmade model from Altus Flutes, please give us a call or send us an e-mail so that we can properly address your performance needs. Based on the work and recommendations of renowned British flutist William Bennett, the Altus–Bennett scale offers excellent intonation, carefully tuned harmonics, and balanced registers. 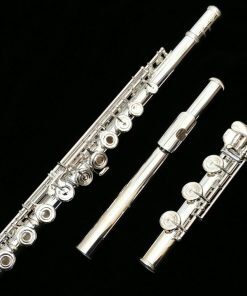 Altus flutemaker Shuichi Tanaka along with Bennett admired Albert Cooper’s scale work and made some modifications of their own, creating the Altus/Bennett scale. 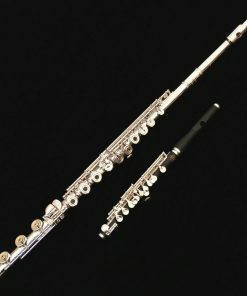 The Altus/Bennett scale is used on all Altus and Azumi flutes. The precise intonation not only makes these flutes effortless to play in tune, it also enhances the resonance of the instrument. A more resonant flute has more depth and color to the sound, and is more flexible. It may help to explain exactly what is meant by the “scale” of an instrument. The instrument’s scale is the relationship of the toneholes to each other, the size of each hole, and the distance of the toneholes from the embouchure. The musician will play with better intonation while expending less effort with a well built scale. Affordable Financing Available on all Azumi Flutes. Some models even qualify for special Same As Cash terms!